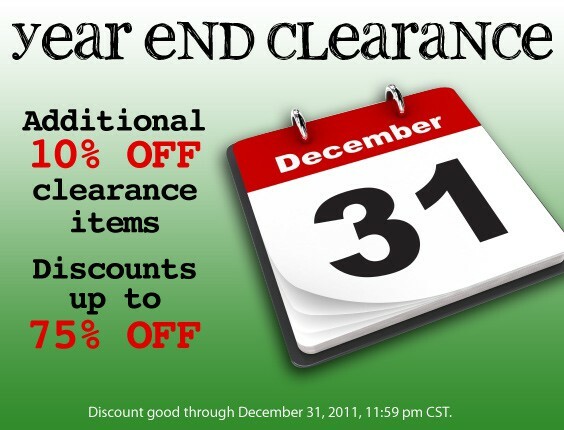 Check out the huge SALE at Two Peas in a Bucket!!! I order some wonderful goodies...thought of sharing with you all! PKS GDT - Day #4!! Here is cute, cute card for the Day #4 of Peachy Keen Stamps GDT week!! I used PKS - Mini Tubby Time stamp and Echo Park-Style Essentials Runway papers for this card! The gorgeous ribbon is from Ribbon Carousel! 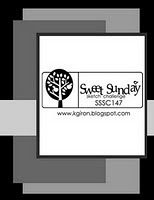 Allsorts : It takes two..
Don't forget that you can win these two PKS stamp set by just leaving comments here and on PKS blog. PKS challenge for the week is " DESIGNER'S CHOICE".... check it out HERE. I'm back with my PKS GDT project! A fun card!! Love the images from PKS- Hillbilly Holler Set #4. The fab papers are from Echo Park- Times & Seasons collection. Crafty Catz : Anything goes! Make it Monday : Anything goes!. Did you hear about Julie's Fab Giveaway??? Making Memories - 5 Assorted Eyelet & Snap packs, Chipboard Shapes, Charm Frame Metal, Ribbon words Christmas, & Fabric Tape. Please check out ABC Toys and Crafts Blog now!! I picked a very cute mini Snowman stamp and non-traditional colored Fancy Pants papers for my card. Going Grey With Scrap-Creations : First Snow. Creative Inspirations Paint : Non Traditional Christmas Colours . 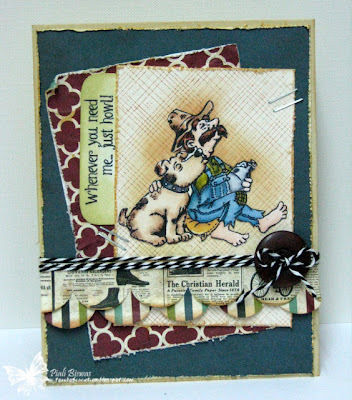 The second chance ...... you can win these two PKS stamp set by just leaving comments here and on PKS blog. So go ahead and join in ....check out PKS Challenge blog. 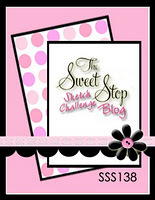 Peachy Keen Stamps GDT- Day #1! 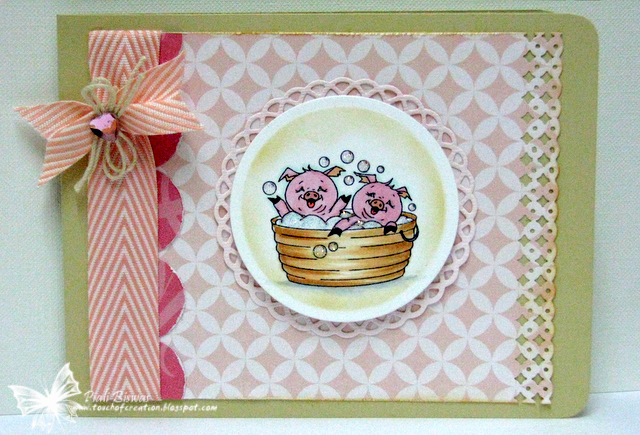 As mentioned in the beginning of this year.....its finally time for my Peachy Keen Stamps Guest DT week!!! 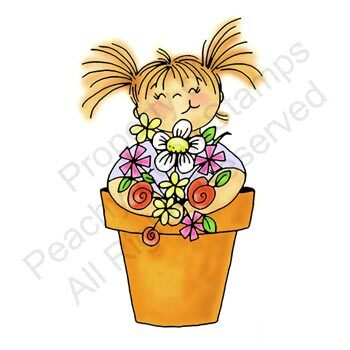 You haven't heard of Peachy Keen Stamps yet...you should hop over to see the fabulous and fun collection of stamps! 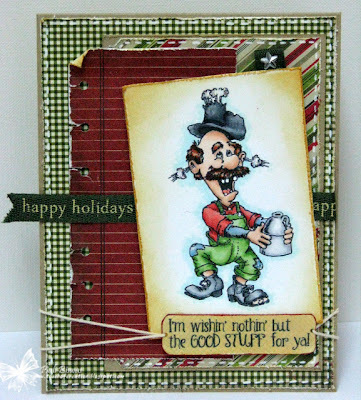 I picked a super fun stamp set from PKS~ Hillbilly Holler's series to work with... I always find it hard to create a grown-up masculine card...but this stamp set made it a breeze. THIS set can be used for any occasion...as I used it for a fun holiday card. The papers are from Authentique~ Wonder collection. Let`s Ink It Up: Christmas. Creations by Gill M: Red & Green. iCopic Challenge : Holidays+ Copics. Now, how about some GIVEAWAY!!! Peachy Keen Stamps generously allowed me to give some wonderful PKS goodies to one lucky person. All you need to do to be eligible to win this set is to leave a comment here or on PKS Blog or both. I will draw one lucky winner from all of the comments at the end of the week. So ...go ahead and leave comments...visit both the blogs throughout the the week for more chance of winning!! I'll be back tomorrow with a new PKS project! Did you all hear about the new fab challenge??? Here is the 1st inspiration pic... love it! ...and here is my card for the challenge! I used PTI- Mehendi stamps... and as the dress is full of detailed lacework, I did a lil' version of mine with 1/16" hole punch and needle tool. Its very pretty up close...but sorry I didn't get a good picture of it. Added some lovely rhinestones and pearls from Pizzazz Aplenty. Wee memories : Anything Goes!! Paper Take Weekly : Anything goes. Hope you're enjoying your weekend!! Must be a busy one with all the holiday shopping!! Today I've another set of CAS holiday cards to share with you all. When you've very pretty DP ...there is a very lil' work to do! Love this DP from Authentique~ Wonder collection...beautiful! 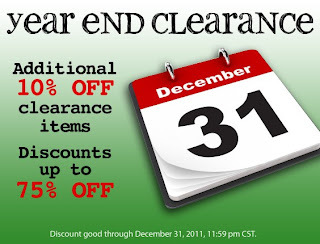 The sentiment is from Woodware USA stamps. I sprayed the card with Shimmer Sparkle spritz.... its very shiny up close! Crafty Catz - colours of Christmas with sparkle. Stampin With The Dragon: Anything Goes for Christmas. 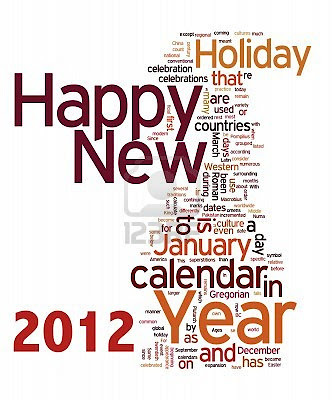 Aud Sentiments Challenge : Any Winter Holiday Sentiments . Labels: authentique, holidays., spellbinders;, the twinery, woodwareUSA stamps. I'm back with a batch of new holiday cards. 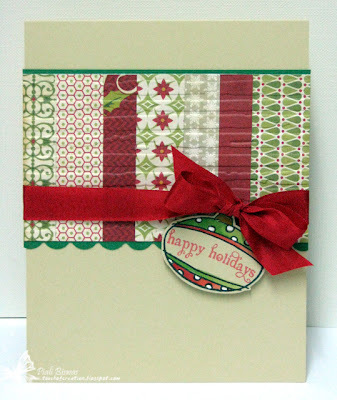 I used all the scraps from Echo Park~ Season's Greetings paper collection! Beautiful papers! Its a great way to use all the scraps and display the gorgeous papers! I just adhered the stripes of different patterned paper and dry embossed it with Cuttlebug embossing folder. The ornament stamp is from Stampendous! I colored them with Copics. 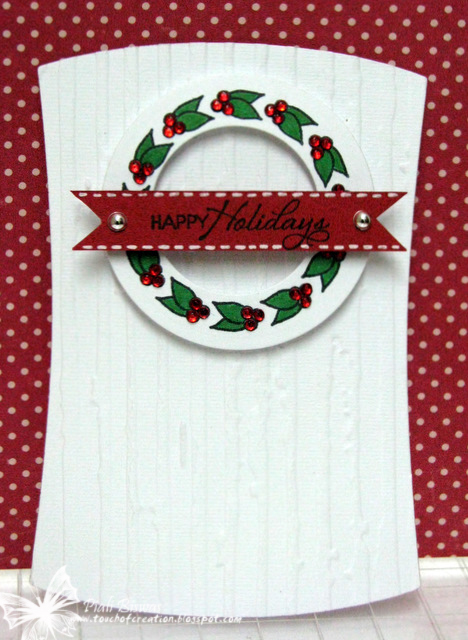 The "Happy Holidays" sentiment is from There She Goes stamps. I made a set of 8 cards...quick & easy ones! Christmas Cards All Year Round : Anything goes! Joanna Sheen Challenge : Christmas Wishes . 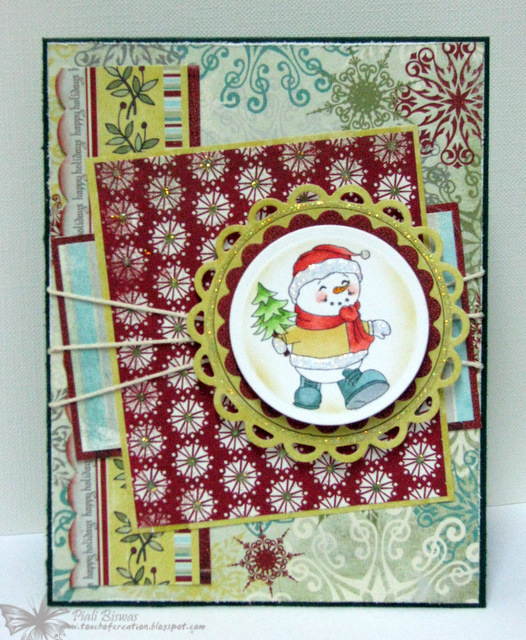 Scrappin Chic Challenge : Anything Christmas. The Cuttlebug Spot: Left overs. 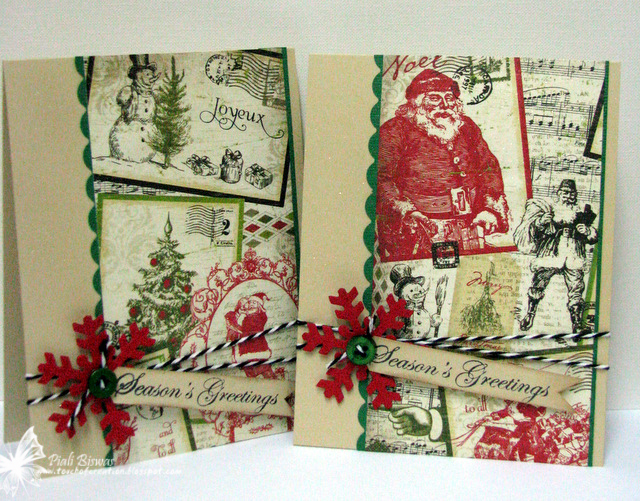 2011 Holiday Cards- Project 15 & 16!!! Its been a while .... got so busy with all the household work. Now as the holidays are more closer I'm trying to make CAS batch of holiday cards ! I used Authentique~ Wonder collection papers for the first batch of cards.. The border sheet paper was so pretty I just trimmed it to individual stripes , used some border punches and randomly adhered them to the card. The faux stitching stamps are from There She Goes - Institches stamp set....its a super easy way to add stitched effects! I stamped the bckground with some Inkadinkado snowflake stamps. 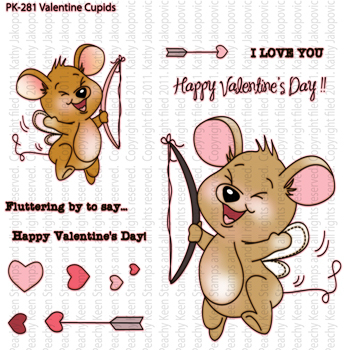 The sentiment is from Verve stamps! 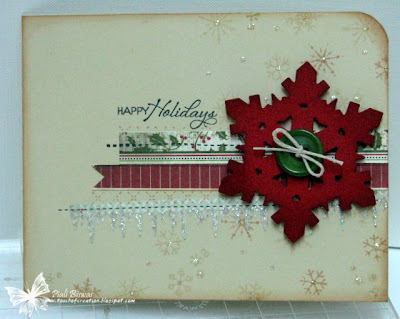 The gorgeous snowflake die cut is from Spellbinders..love it!! This cards are for the following challenges..
Crazy 4 Challenges: Card or Project with some sort of snow. Craft Your Days Away : Buttons & bows. Going Grey With Scrap-Creations : Christmas. 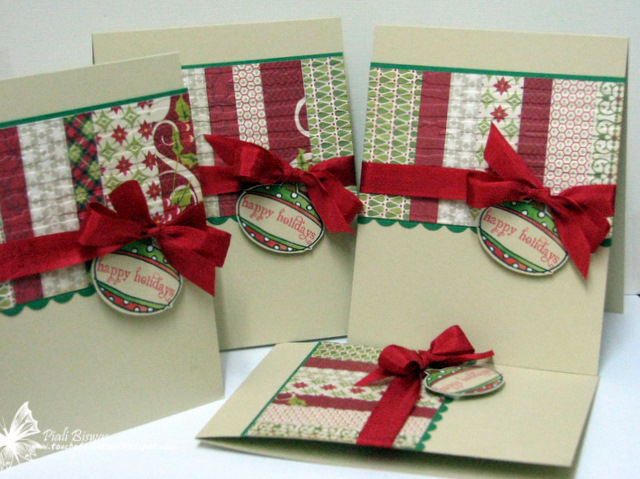 Make it Monday with Kraft Outlet : Cristmas Card + Kraft cardstock. Stamps R Us : Emboss it. Crafty Cardmakers : Heat Embossing. As I mentioned earlier the photo is doing right justice to the card. I wish you could see it in really ...fabulous colors and very sparkly. 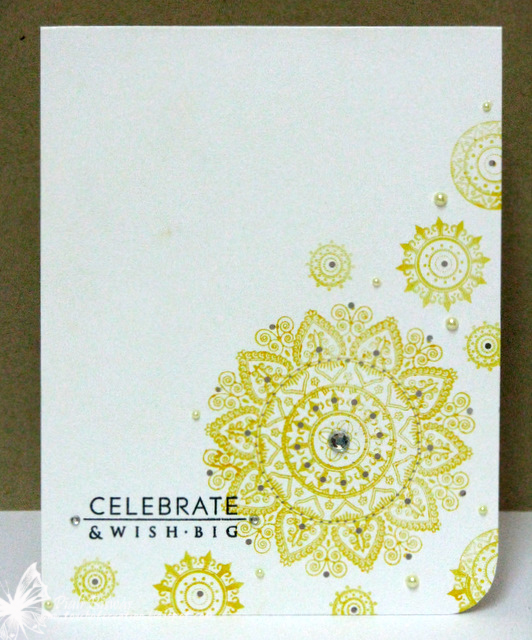 Its very simple card...made with only patterned paper , sentiment stamp and stickles!! 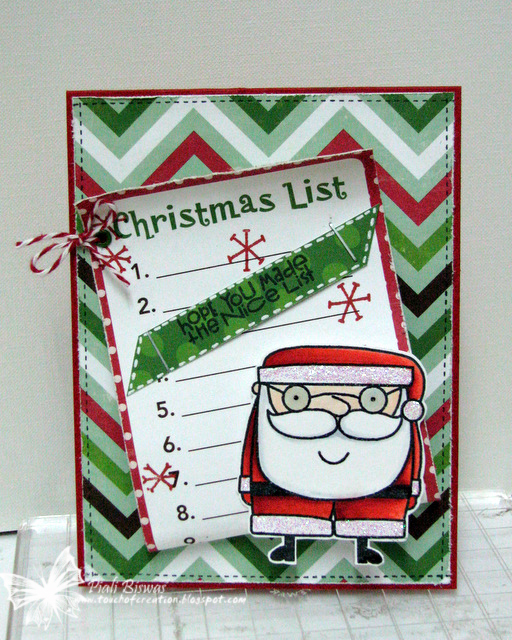 The gorgeous patterned paper is from Fancy Pants~ Saint Nick collection. 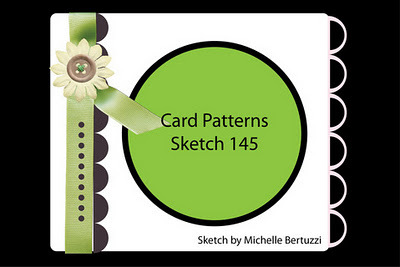 Love this collection...fab colors and lots patterns that can used a focal point of the card. 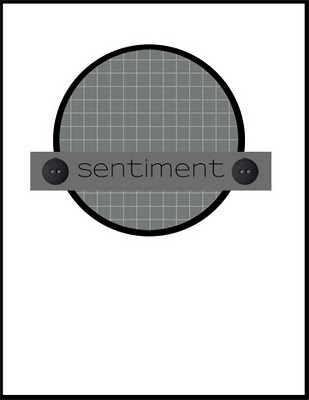 The sentiment and stitch stamps are from There She Goes stamp. Less Is More : A bit of Bling . Crafty Hazelnut's Christmas: Vintage and/or Distressed . 365 Cards : Day 271 Keep it Simple. 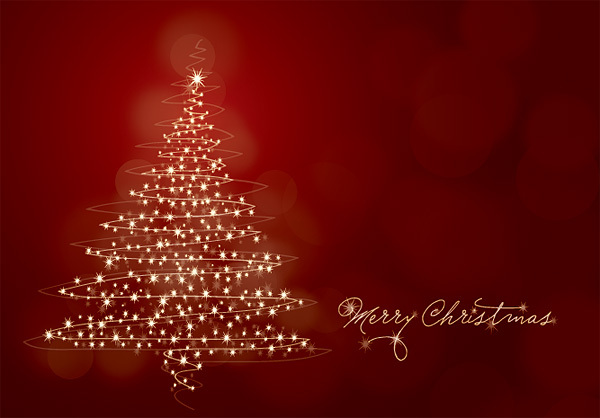 Christmas Inspirations : No images a wording card!. 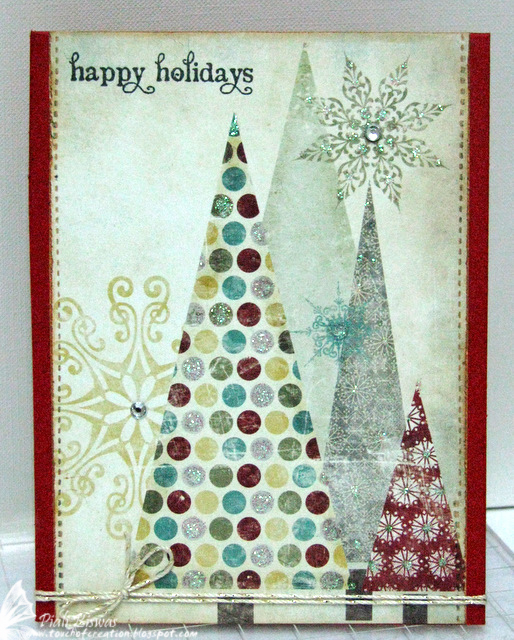 2011 Holiday Cards- Project #13 & 14! Hope you all had a lovely weekend!! I'm catching up on my holiday card making plan...missed a few days , no worries I'll work on two cards a day to finish everything . 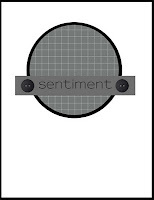 First one is a very simple one...can be easily mass produced. The wreath stamp is from Verve Stamps. I used lots of lovely 3mm red rhinestones from Pizzazz Aplenty...really love these gorgeous rhinestones & pearls and thanks Judy for making them super affordable. Guylou's Inimitability: Christmas with a wreath . I finally inked up my Santa Paws stamp set from Paper Smooches....I loooooooooove Kim's designs. 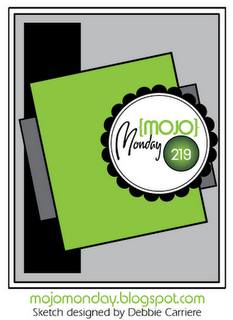 Super fun to work with ...I used PS stamps for my recent Papercrafts-365 Cards publication. The lovely background paper and the "Christmas List" diecut is from Echo Park~ Holly Jolly Christmas paper collection. Karens Doodles : Celebrate with Santa. Paper Creations Ink : Christmas. 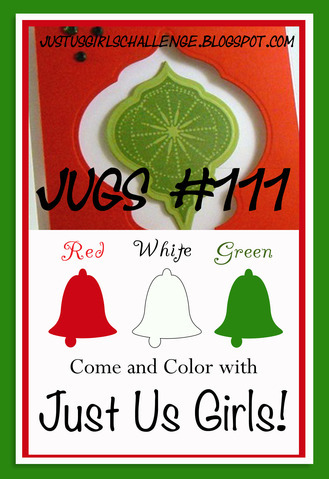 Here Come the Boys :Masculine card- Red white & Green.